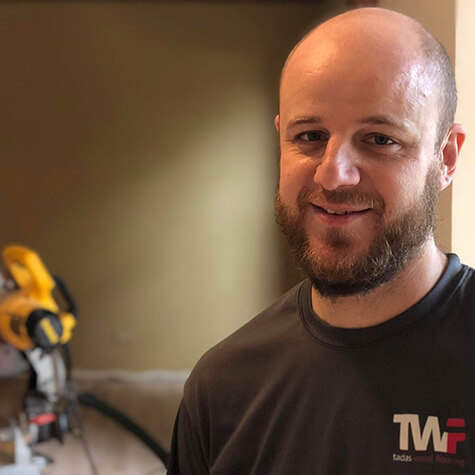 We thought this page might help you to get to know us at Tadas Wood Flooring a little better and let you see exactly who will be in your home restoring your floors. We are a hardworking, professional crew of great friends that love transforming our clients homes, get along great and work together extremely efficiently. Tadas started out in the hardwood floor industry over 20 years ago. Originally from Lithuania, he immigrated to the States when he was 20 years old. 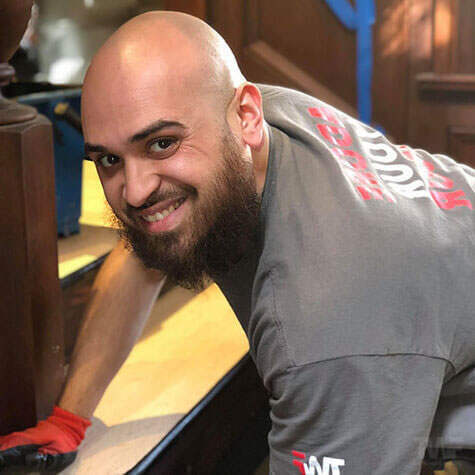 After spending a year as a commercial cleaner, (where he developed his “clean freak” habit) he was offered a job with a prestigious hardwood flooring company. He started being trained in high end hardwood floor restorations and soaked up everything he could during the next 5 years. After that stint, he changed companies and started working for another business for a little while. But soon he realized that he would be able to make much better use of his skills and offer the higher quality work he wanted to do if he went out on his own. So he started Tadas Wood Flooring in 2002 and hasn’t looked back. 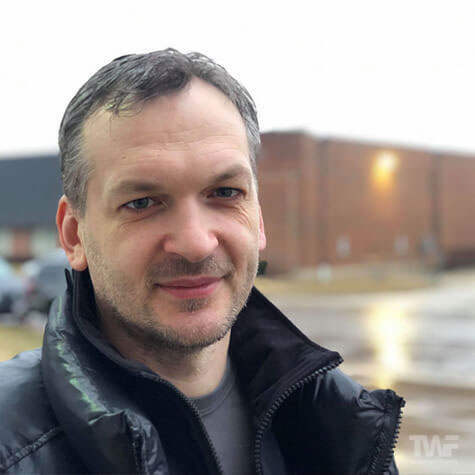 Tadas Sadunas is the owner Tadas Wood flooring. 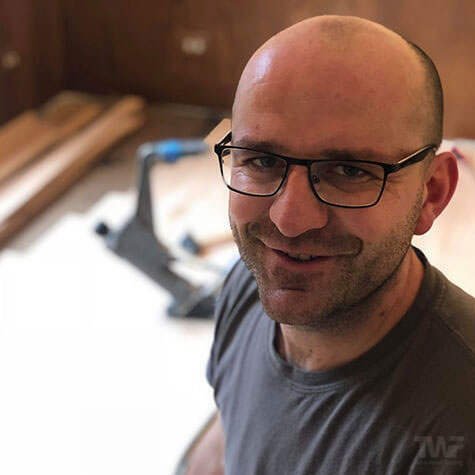 Being in the wood flooring industry for over 20 years, most of those as a business owner, he is a true expert in all things hardwood floor related. 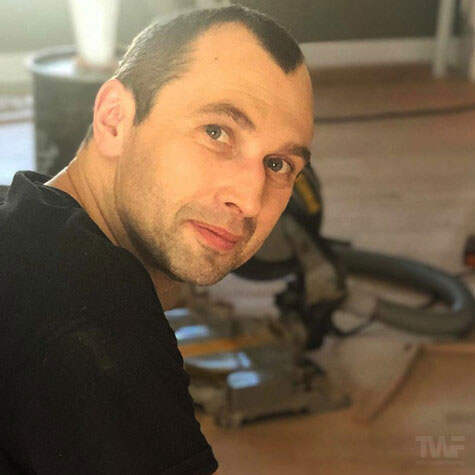 Tadas will be the one coming out to look at your floors and provide your quote. Slavik is one of our crew leaders. He has also been been restoring wood floors for close to 20 years now and is an expert in all things hardwood floor related: installation, repairs, sanding, staining and finishing. He has been working alongside Tadas for 15+ years. Paul is another one of our crew members with 20+ years of flooring experience. An expert in custom installations like herringbone flooring and highly skilled in all things wood floor refinishing related. A great asset to our team. Evaldas is one of our highly valued crew members. He works alongside Slavik and Paul on most projects. Highly skilled in sanding and applying finish, you'll enjoy his open friendly nature as he works in your home. 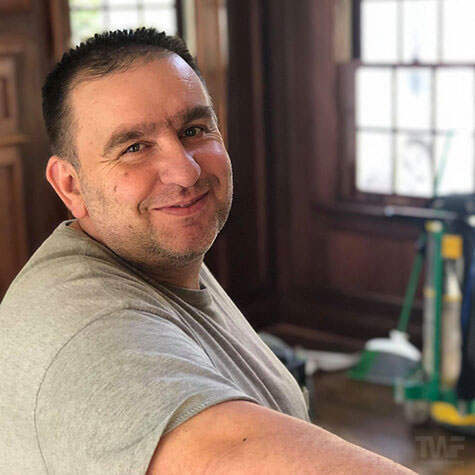 Darek is our second crew leader and he too has over 2 decades of wood floor sanding, refinishing and installation experience. Very personable and friendly, you'll love having him and his fellow crew members work in your home. Carlos is one of our crew members that works closely with Darek. He is very kind and extremely hard working. An expert on the edger, scraper and TRIO, Carlos will be doing a lot of the important grunt work on your project. Depending on the size of your project, there may be just a couple of us working on your project, or all of us if it's a large project that needs to be completed within a certain timeframe. As one of the leading hardwood floor refinishing companies here in Naperville and the surrounding Chicago areas, we are always open to interest from talented, trustworthy, friendly and hard working people who would like to join our team. Would you like an exciting career with great pay, fun and down-to-earth people to work with and job security? The work we do is enjoyable, challenging and very satisfying. Each day you will go home feeling proud of the transformation of a clients home or a commercial location you’ve just had a part in. No project is ever the same and there’s always lots of fun, interesting projects to work on. You don’t need to have specific flooring skills (we will fully train successful applicants), but you do need to be competent in working with your hands. If you can set a nail with a hammer, sand a flat wooden surface with an orbital sander and can paint a wall, you have the basic skills we need... the rest we’ll be able to teach you. Because we are working in people’s private homes as well as commercial locations, we have very high standards of professionalism, conduct, security and confidentiality you must adhere to. This is a physically demanding trade. You can’t be afraid of hard work. You will be operating and carrying large sanding machines. You will need reasonable strength and stamina to do this daily. We’re looking for long-term team members that want to learn a highly specialized skill and become professional tradesmen. If you want a stable long-term position, with great job security, fun rewarding work and a great work environment – then this could be the perfect opportunity for you. Send an email to tadas [at] napervillehardwood.com with the title “I’m Interested in Joining Your Team.” We will reply with more information.